Welcome To Salmon Fishing Now! 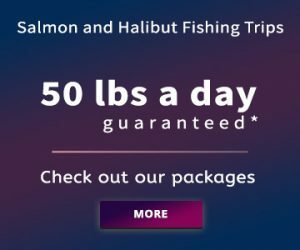 Your destination for everything Salmon Fishing. Browse through the website for the latest salmon news, salmon fishing regions around the world, salmon fishing tips and salmon biology and restoration. It is good to know that many private societies are helping restore creeks and rivers so that we will once again have large numbers of salmon both in the ocean and returns in the rivers. 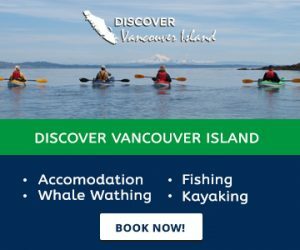 If you are looking to take a guided salmon fishing trip you can review the geographic areas for the best spots or visit Salmon Eye Fishing Charters for videos, a picture blog and inclusive packages. 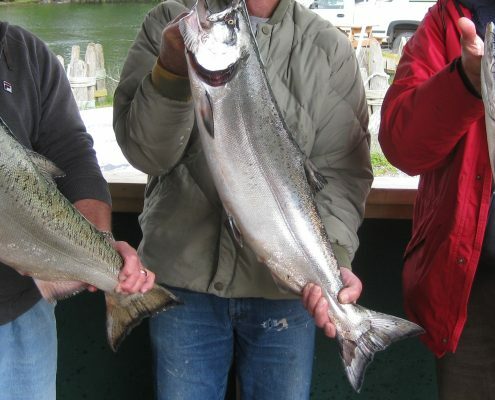 2014 should be a great year for returns around the Ucluelet region and if you have a 22′ plus boat that you fish with, try this place for easy access and many different areas to catch Chinook (Kings), Coho (Silvers) and Halibut. Salmon Enhancement University is a section of Salmon Fishing Now that give awareness to regional salmon recovery. 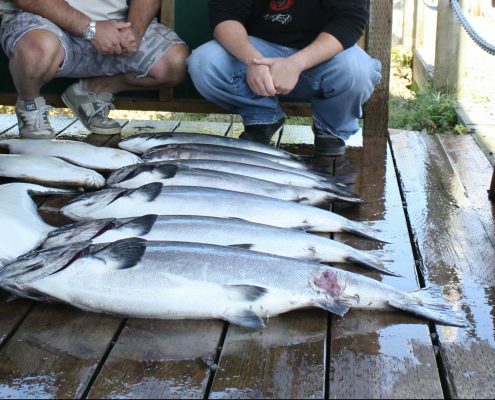 There are many organizations devoted to bringing back salmon fishing to all areas the way it was in the old days. British Columbia, Washington and Oregon all have rivers and creeks that have started to bring back thousands and thousands of salmon. We will reveal what are some of the latest salmon enhancement techniques bringing back larger salmon and what are some of the faulty methods that have been carried out by fish hatcheries for the past few decades. Salmon fishing will once again flourish, but it will take hard work and persistence by many volunteer organizations and societies. Let us know if you would like to contribute to any region! If you are planning a trip, make sure you know what time the best runs come through. 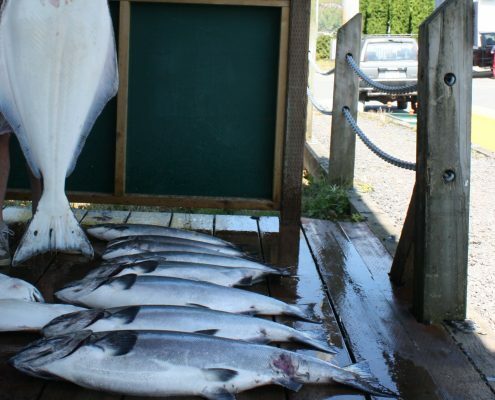 The amount of salmon caught from week to week and vary based on how many salmon are going by that particular area. Please view our menu to find out what you would like to know about salmon fishing around the world. If you have questions that you would like answered, please don’t hesitate to email us.